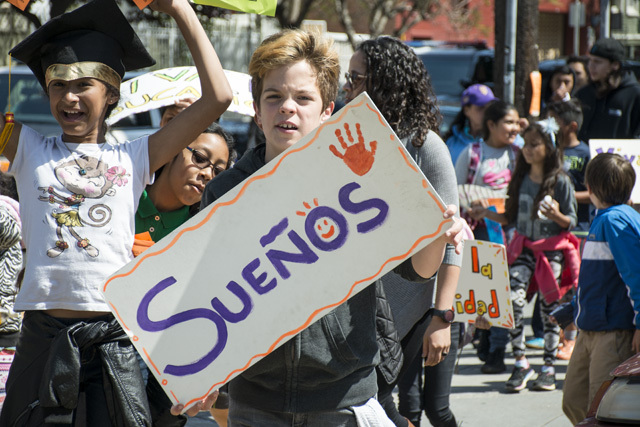 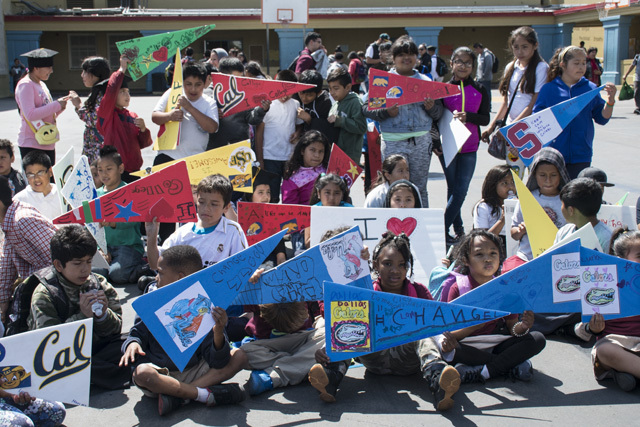 An estimated 400 students ranging from 3rd to 5th grade, accompanied by some 100 parents and members of the Mission Graduates program, gathered in the schoolyard at Buena Vista Horace Mann Thursday at 3 p.m. to celebrate Mission youth going to college. 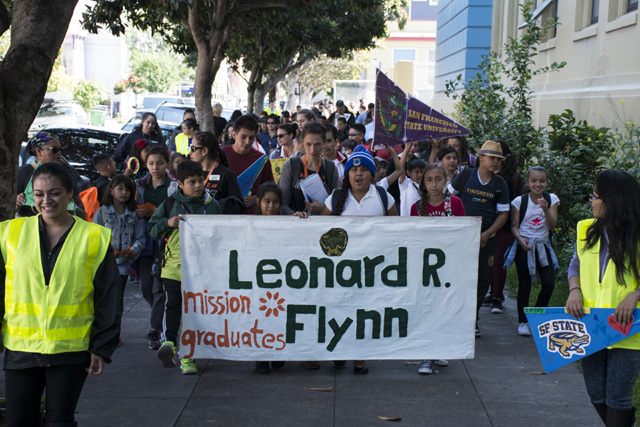 Other schools joining in the march included Everett, Flynn, Cesar Chavez, James Lick, and several others. 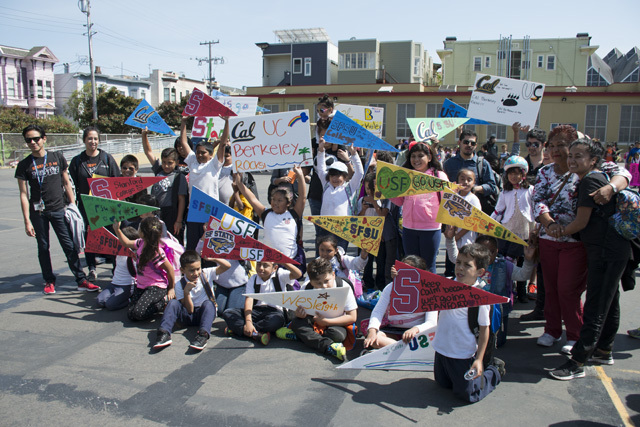 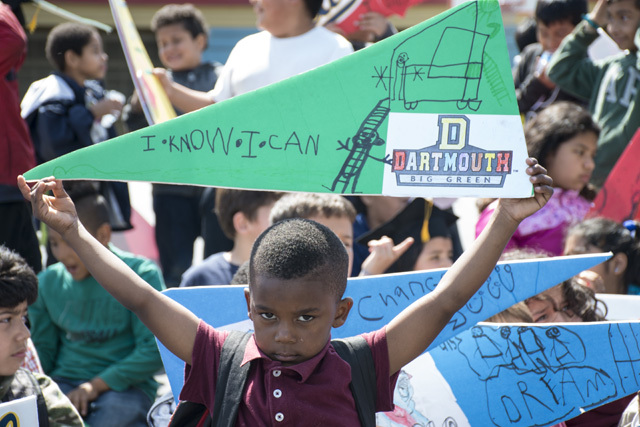 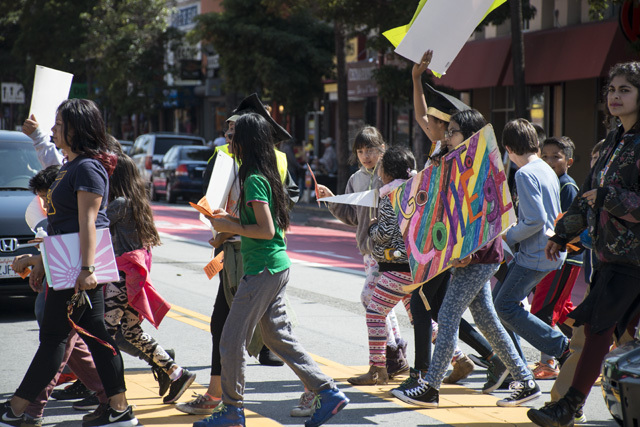 The elementary students marched down Mission Street chanting “C-O-L-L-E-G-E, college is the place for me!” The students marched to John O’Connell High School, where they rallied with college-themed games and heard from local universities about how to get to college. 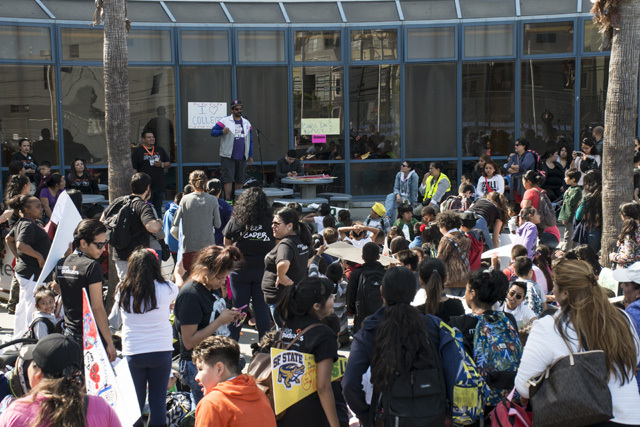 The other organizations involved in the day of college awareness included Jamestown Community Center, Buena Vista Child Care and First Graduate.